See how easy it is to emboss and create a stunning effect on a die-cut element using Delicata Inker and sparkle embossing powder? 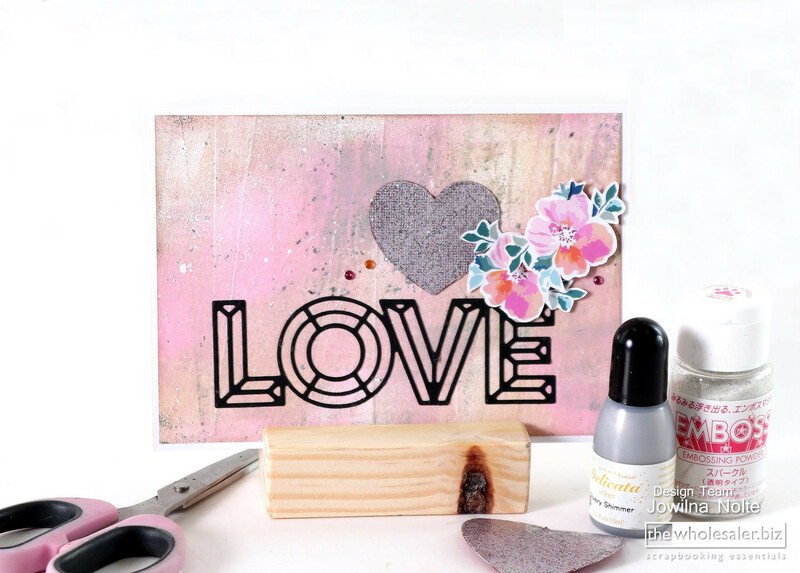 I used a die-cut heart I had left-over from cutting a whole bunch on my Silhouette machine to create this stunning, quick and easy effect. 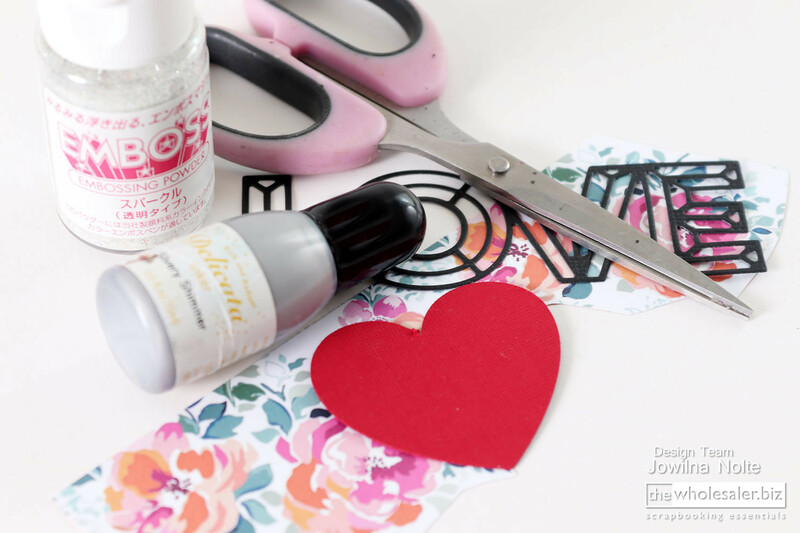 Gather some die-cut elements, patterned paper, embossing powder and Delicata Inker. 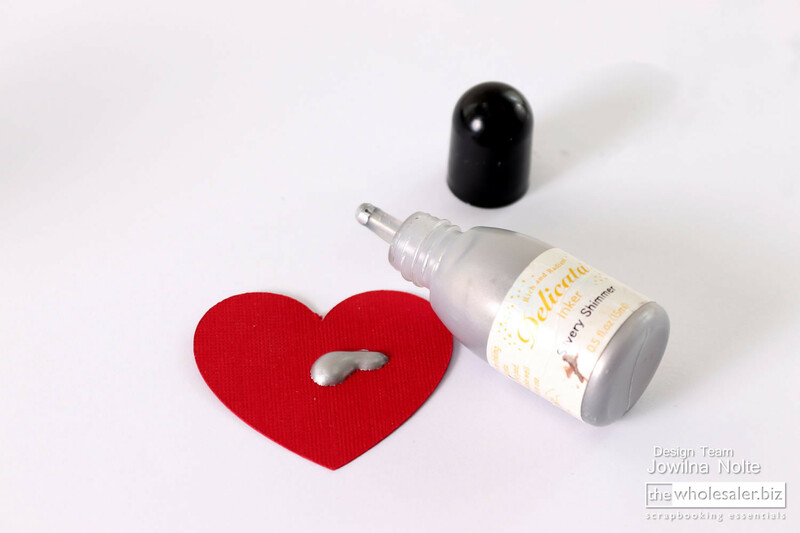 Add a small amount of Delicata Silvery Shimmer Inker onto a die-cut heart. 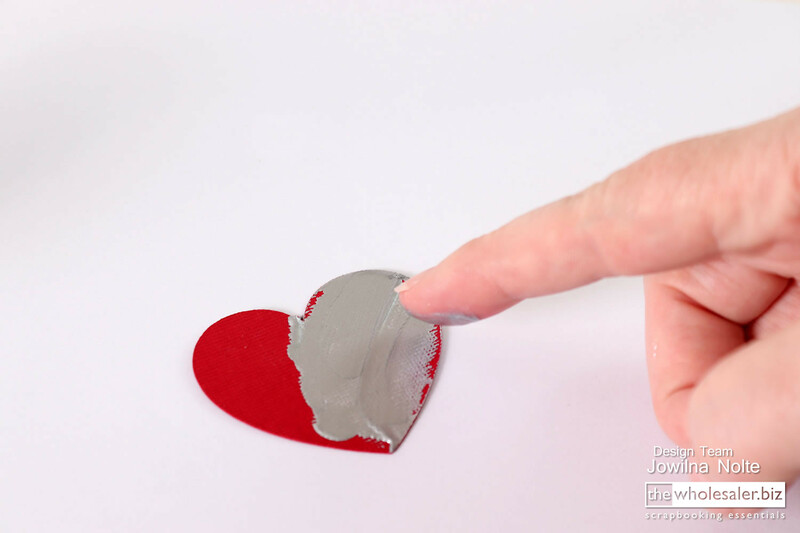 Use your finger to spread the ink into a smooth layer all over the heart element. 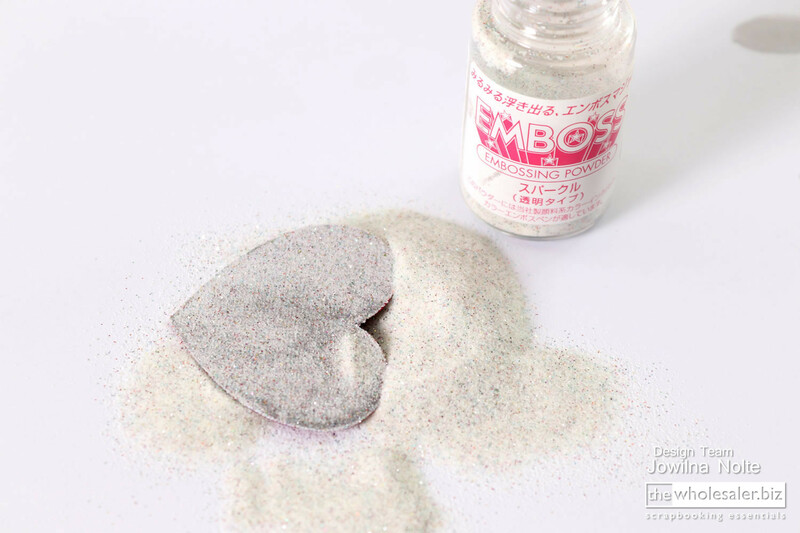 Sprinkle the inked heart with a layer of embossing powder. Shake off the excess and return it to the bottle. Heat set the embossing powder using your heat gun. 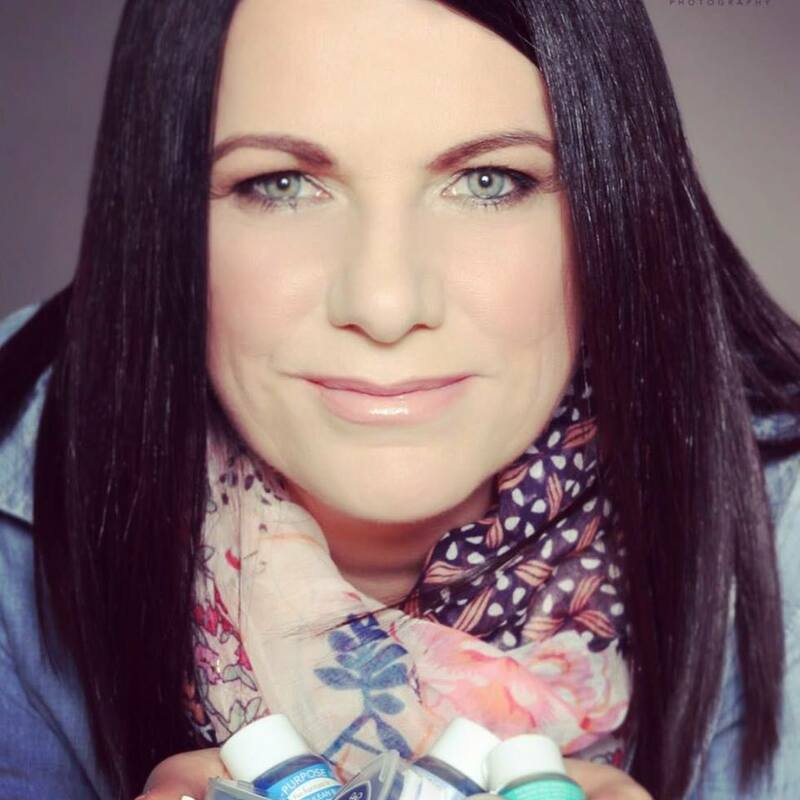 The Inker acts as an adhesive to the embossing powder making it quick and easy to emboss. 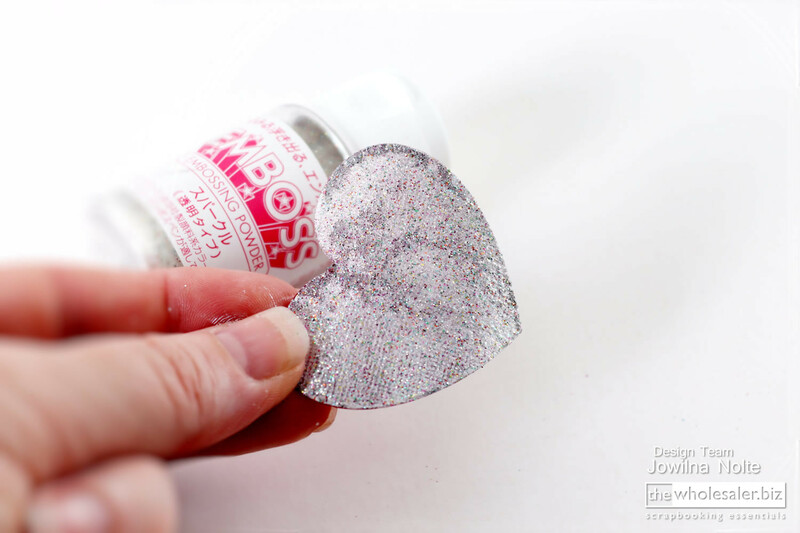 The sparkle embossing powder makes the silver simply magical with its multicoloured effect. Leaving your red heart perfect for a subtler Valentines day card for a loved one. How easy it is to change the colour of an element to suit any colour scheme of your next project. One of my favourite Blending Tools ever!